Singapore is the glistening island city, the diamond of Southeast Asia that will serve as either the pinnacle of your travels, one final thrill before you journey home, or will welcome you and enthuse you to the Asian vibe as you begin your adventure in this region or beyond. Singapore is an exciting city of contrasts, globally inspired yet distinctly Asian. The greeting here is as warm as the tropical rain and the family-friendly nature is inherent. There are a myriad of ways to spend your time, whatever your age, whatever excites you but your time here is precious so while you are deliberating, make your way down to Marina Bay. This is Singapore’s glossy waterfront vista, its long breezy promenade interlinking a plethora of attractions. For the city’s best viewing points ascend to the Sands Sky Park at the very top of Marina Bay Sands hotel or take a turn on the Singapore Flyer, the world’s largest observation wheel. From Merlion Park step into a boat and relax in the shade as you soak up the sights of Singapore’s historic waterways. Hop off for refreshments and a hearty meal from the kaleidoscope of restaurants lining the river. Enjoy the waterfront by day but be sure to return at night to be dazzled by the colourful light-filled sky and night-time city scape that awaits. Museums abound and it’s easy to follow the heritage trail and have some family fun along the way. Hop aboard an open-top red bus to see the key iconic historic and cultural sights. 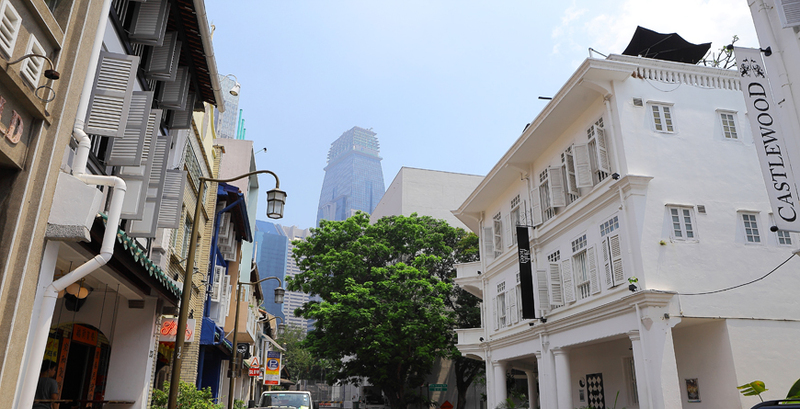 For a fix of history and a flavour of Southeast Asian culture choose from the National Museum, the Peranaken Museum or the Asian Civilisations Museum. 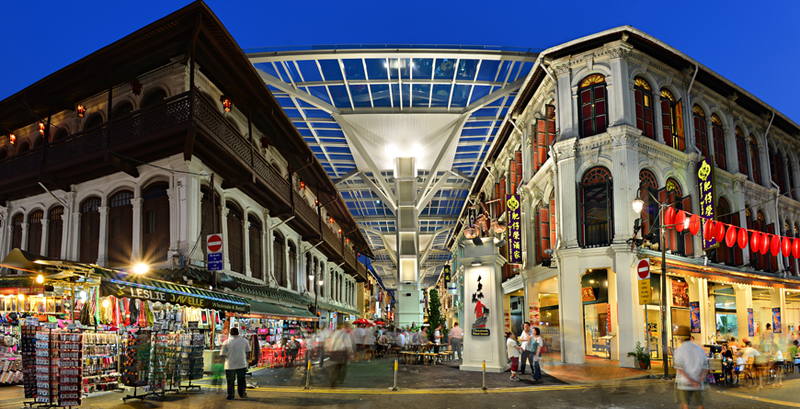 Chinatown, Kampong Glam and Little India will give you a taste of Singapore’s diverse culture. Each a vibrantly colourful blend of old and new to flood the senses: lit with lanterns; lined with shophouses; bustling with market stalls; wafting with local Chinese, Malay and Indian flavours; the chatter of company in traditional teahouses, trendy cafes and bars. The shopping is quirky, bohemian, boutique and culturally inspired, from handmade perfumes, exquisite silks and batiks to jewel laden trinkets. Truly the “Garden City” of Asia, indulge in the shade and the cool of the lush tropical flora and fauna of the Botanic Gardens and the National Orchid Centre within. Find a calm moment to observe the locals practicing Thai Chi or head to the lake to feed the turtles and fish. 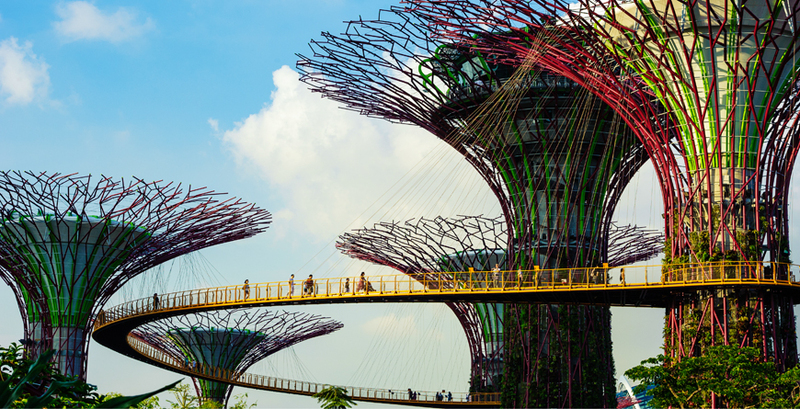 Gardens by the Bay is a blend of modern horticultural technology, innovative architecture, beautiful scenery, a children’s waterpark and a wonderful feeling of space. Bukit Timah Nature Reserve will more than satisfy the need for a rainforest adventure and the picturesque Southern Ridges suspended walkways provide panoramic views of the city, the harbour and the southern islands. The cable car from Mount Faber Park viewing point will give the whole family an exciting entrance to Sentosa Island, Singapore’s favourite leisure destination. Sentosa has it all and something for everyone: golden beaches, Luge and Skyride, Universal Studios Singapore, two waterparks, the world-class S.E.A. Aquarium, Maritime Experiential Museum, Megazip Adventure Park and Wave House. Singapore Zoo, just a short ride away from the city, offers an oasis of calm and a multitude of experiences in this beautiful rainforest setting. Breakfast with the orang utans, be enthralled by a show or spend some down time in Kidzworld with farm animals, pony rides, a fabulous water-play park and adventure playground. 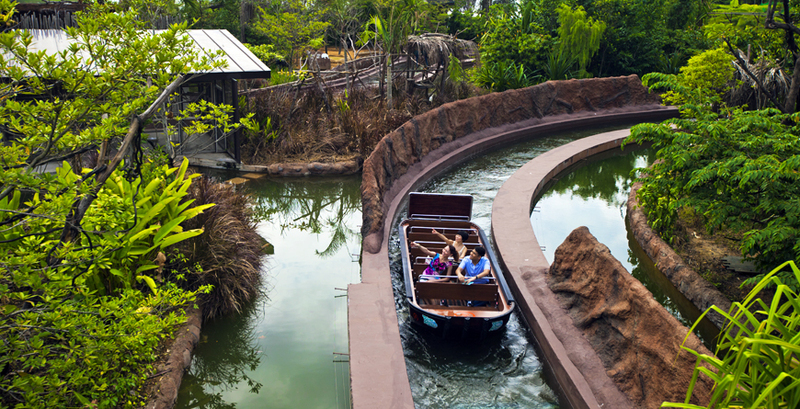 Enjoy a boat ride through recreated iconic river habitats at the neighbouring River Safari or for nocturnal thrills return at dusk to the Night Safari. Dining is a national pastime and one to be taken advantage of. There is an astounding array of Asian and International cuisine that befits such a multicultural and cosmopolitan destination. Eat like a local at a Hawker Centre, choose romance with a sparkling waterfront view, indulge in a lively vibe at a hip enclave. From casual beach-side dining to afternoon-tea buffets with a twist of family fun, there are welcome retreats aplenty for families with young and older children alike. With the Singapore Art Museum at the forefront, the art scene here is bursting at the seams and the Esplanade-Theatres by the Bay hosts world-class theatre, concert and dance performances. It’s wise to check the island’s festivals calendar and include in your stay an extraordinary and unique experience. Singapore's climate is hot and humid year-round, so weather doesn't need to dictate when you can travel! The busiest times are June - July and November - December when most Southeast Asian countries have school holidays, so you may prefer to head there in quieter months when a choice is on the cards! Flights: Non stop flights to Singapore, taking just under 13 hours, are offered by British Airways, Singapore Airlines and Virgin Atlantic. A variety of airlines also offer a non direct service via their hub. This exciting itinerary includes not one, not two but three fascinating and contrasting Asian destinations, giving you your fill of compelling culture, tantalising ancient temples, fast-paced city-life, lush green rural scenery and luxurious beach time on your very own tropical island complete with white sand and turquoise waters.